Milano is served by a very good public transportation managed by ATM. 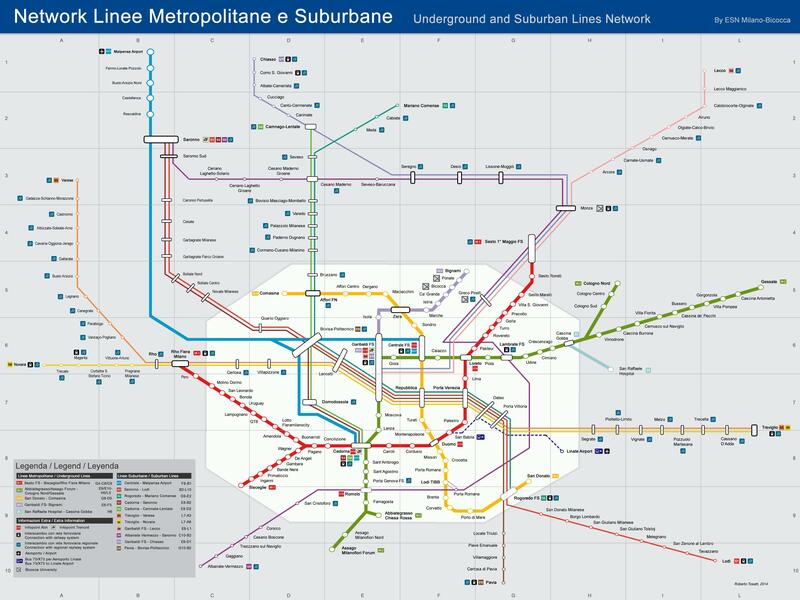 There are four underground lines connecting the main places of the city and a good amount of buses and trams, which will get you almost anywhere you want. Also there is a suburban railway service called "passante" that comprises 10 lines and where inside the Milan urban area the ATM ticket is valid. The price for one ticket in the city area is € 1,50 and it is valid for only one trip in the undergroung or 90 min's on buses and trams. There are also a daily ticket and a "carnet" which is ten tickets for a lower price. The price for a Urban student travel card is € 22 every month, plus € 10 the first time for the card and a picture (fototessera). The cost of a yearly card is about € 200 and it is valid 12 months. To get your ATM card, you have to go to one of these offices inside the underground: - Duomo (MM1 and MM3) - Loreto (MM1 and MM2) - Cadorna (MM1 and MM2) - Centrale (MM2 and MM3) - Garibaldi (MM2) - Romolo (MM2). Have a look on ATM web site to find buses and tram timetable, or to find the right path to reach a destination.